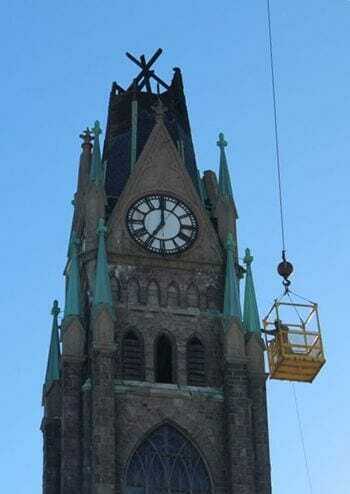 These copper finials framed the soaring clocktower on Saint Bonaventure Church in the Fairhill neighborhood of Philadelphia. Designed in 1893 by architect Edwin Forrest Durang, it took 13 years to complete and finally opened its doors in 1906. The house of worship was a prime example of the city’s Roman Catholic architecture. Though it served as a landmark for nearly a century, it fell into disrepair and stood vacant for years. 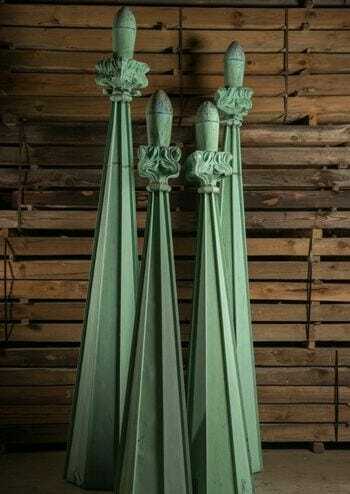 Each finial was carefully removed by crane. Price: Please call for price.